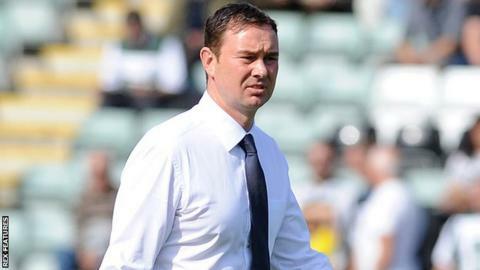 Plymouth Argyle's determination this season has impressed boss Derek Adams. Ryan Brunt scored a 95th minute winner as the Pilgrims beat Luton Town 2-1 on Saturday to go four points clear at the top of the League Two table. "We played ever so well for long periods of the game, but to finish the way we did was typical Plymouth Argyle," Adams told BBC Radio Devon. "We've shown great determination to go and win a football match and that's what you get, you get the rewards." The victory was Plymouth's sixth in their last seven league and cup games, having lost at Oxford United in midweek. "You're always looking at ways to improve and we've done that already this season, but to start with 15 games and have 10 wins is very good," Adams added. "We had a difficult week, and you can't forget that we played Accrington the week before and won that, so to take six points from the last three games has been very good."